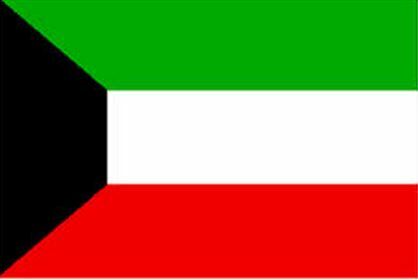 The Kuwaiti government announced, Monday, its approval of the annual contribution of $2 million to the General Fund of the United Nations Relief and Works Agency (UNRAW), to enable it to continue providing essential health, education and social relief services to the Palestinian refugees. Sandra Mitchel, UNRWA Deputy Commissioner-General, said she received the Kuwaiti contribution in the Kuwaiti Embassy in Amman, Jordan, the WAFA Palestinian News Agency said. She added that the UNRWA provides essential services to the Palestinian refugees, and that such contributions would keep its Hospitals, Schools, and other offices, open to provide the desperately needed services to the refugees, especially amidst their current dire situation. The Kuwaiti Press Agency said Ambassador Hamad al-Duaij issued a press release stating that the contribution is part of the framework approved by his country to provide its annual contribution to the UNRWA. The UNRWA suspended its cash assistance program in the Gaza Strip, leaving families unable to repair their homes that were bombarded by Israel during last summer’s aggression on Gaza, in addition to rendering the Palestinians unable to pay rent after their homes were destroyed. Other essential services the UNRWA provides are food assistance and shelter, for more than 4.7 Million Palestinian refugees in occupied Palestine, Jordan, Lebanon and Syria. UNRWA’s Director for Operations in the Gaza Strip Robert Turner said 70% of the population in the Gaza Strip is refugees, and that the UNRWA provides services to 1.2 Million there. Turner added that the number likely to reach as high as 1.5 Million by 2020.